Bravado cooking is all about making classic dishes from scratch, getting everyone involved and making a big show of the whole thing. If that isn’t Thanksgiving, I don’t know what is. 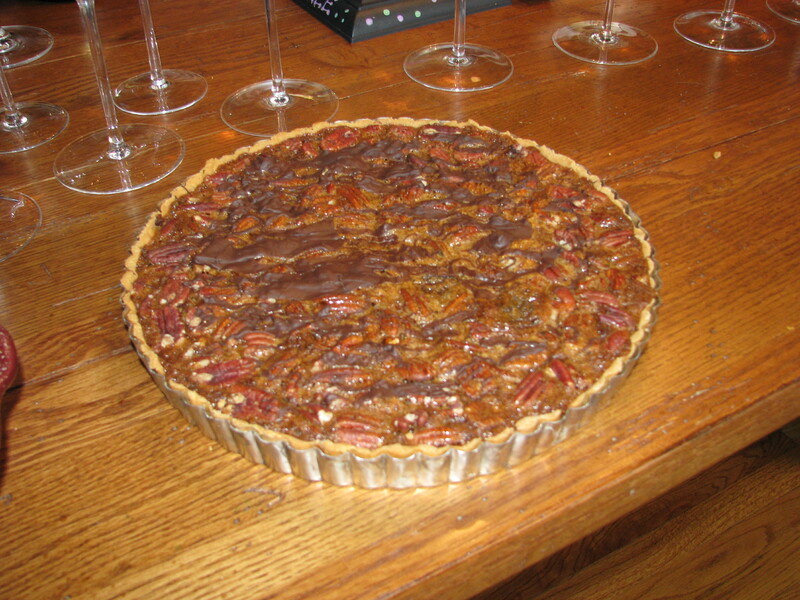 Everyone has a special recipe that they’re proud of, and no one would think of buying something made in the store or supermarket. There is plenty of time so no one is thinking of 30 minute meals. The highlight of our day was getting the children involved. 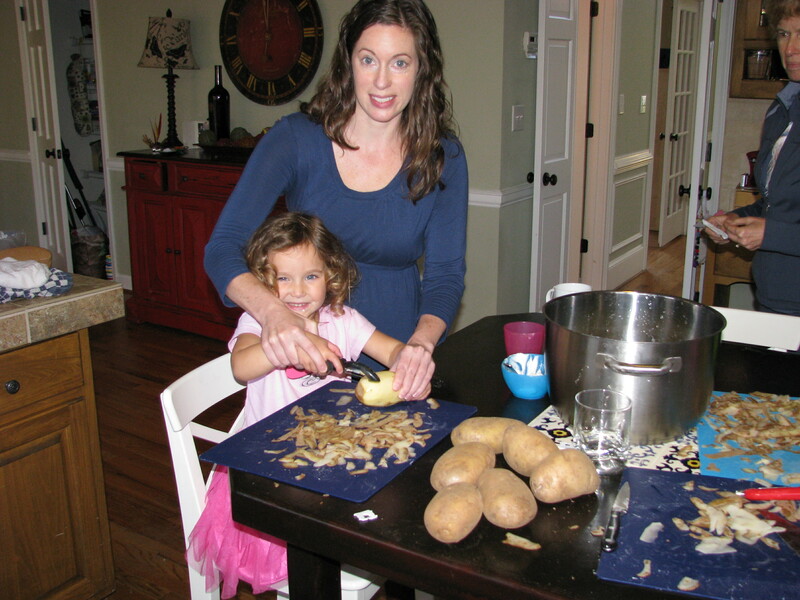 Check out the kids peeling potatoes. 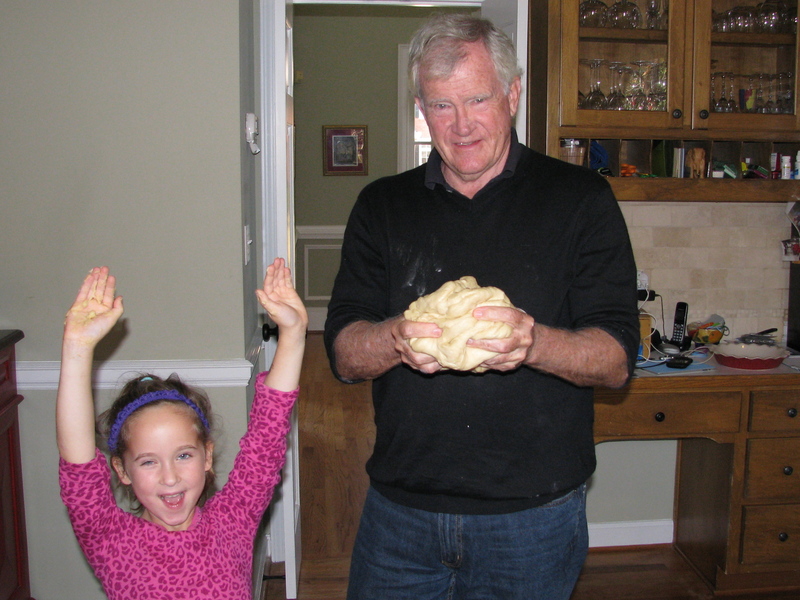 My granddaughter Rachel and I made Parker House rolls (see a great recipe in Joy of Cooking) for the third straight year and we finally got it right. 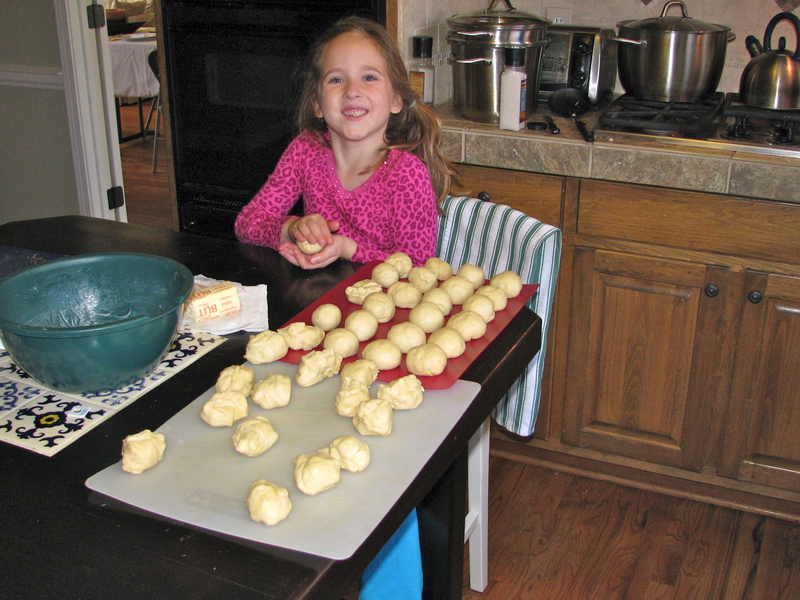 The first year we experimented with all whole wheat flour and we ended up with rocks. The second year, we burned them. The third time was magic. 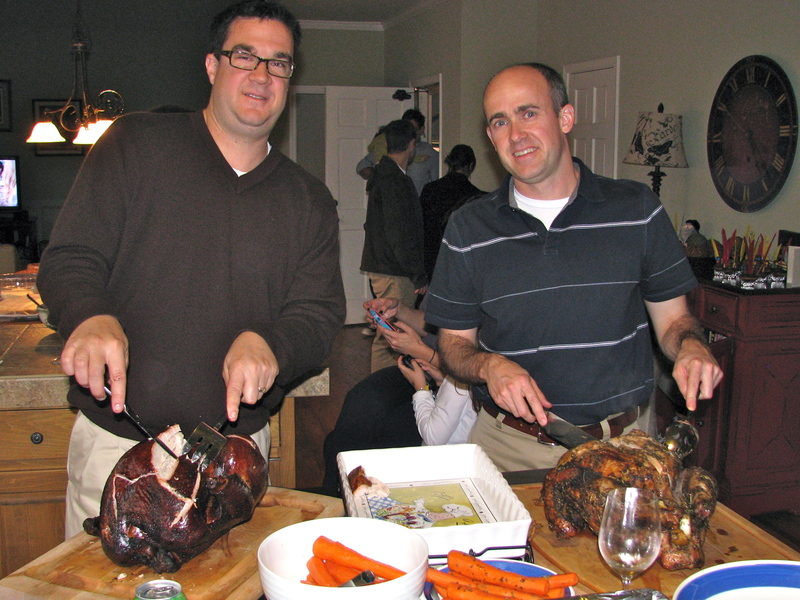 We typically have about 25 people so we do two birds – one smoked and one done on the grill with Herbes de Provence. 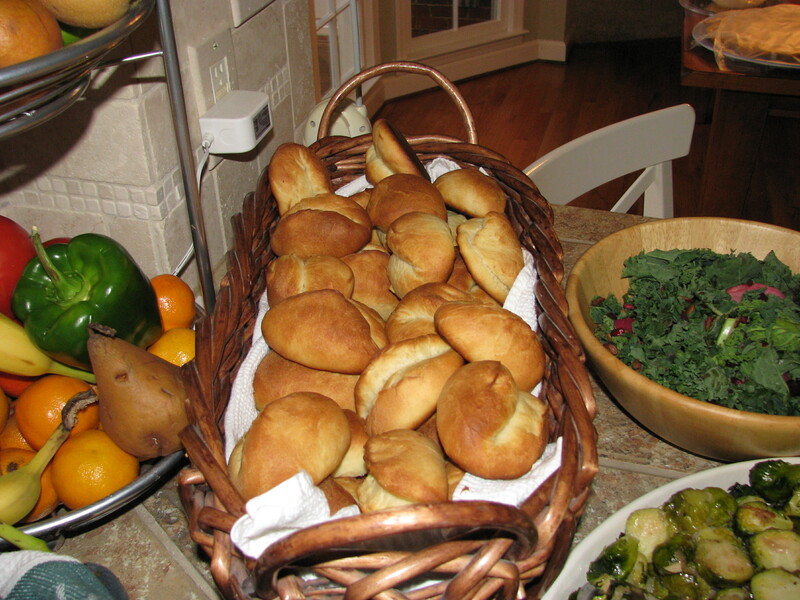 They came out great. 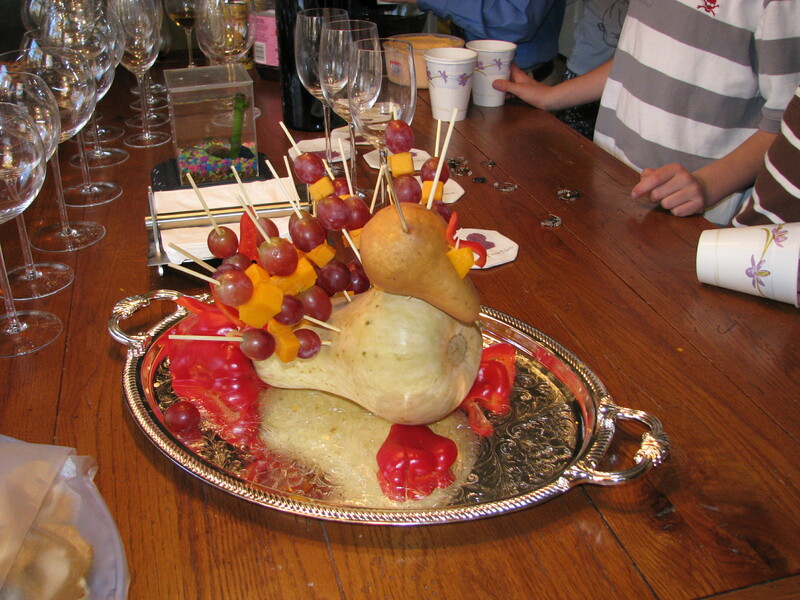 As an appetizer, the kids made a special turkey – butternut squash for the body, a pear for the head and skewers of fruit for the feathers. Very cool. 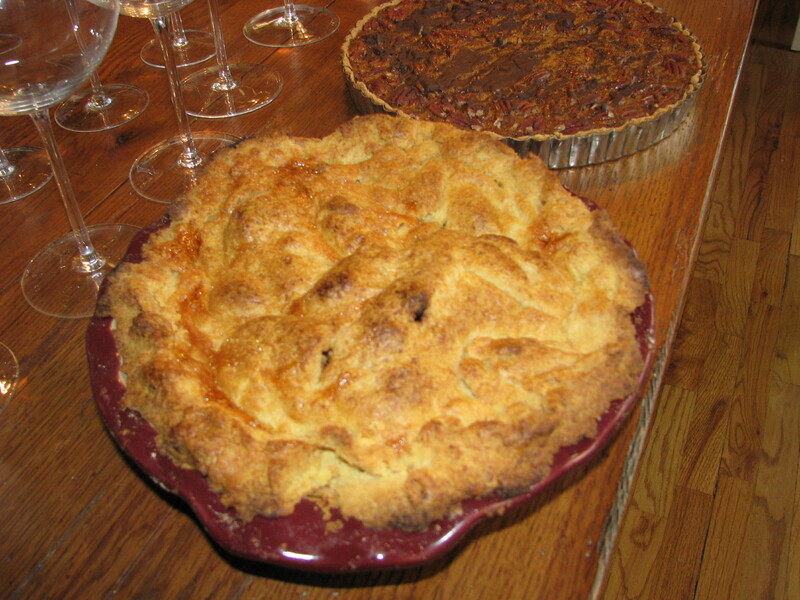 Desserts were not lacking – apple pie with homemade crust, a chocolate pecan tárte and a pumpkin roll. 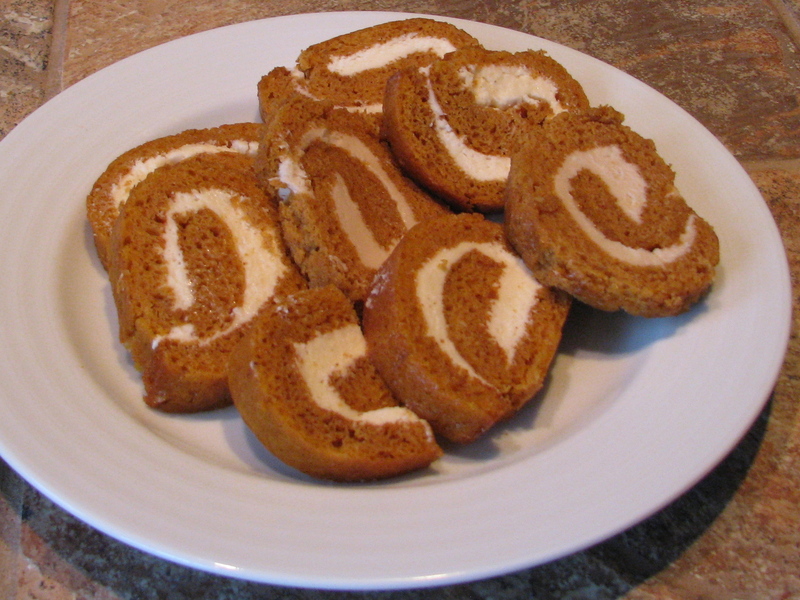 The pumpkin roll is very unique and we will post a recipe since it is great for Christmas also. We hope all of you had a great holiday. Add a comment to this post and tell us what you did. Pictures are welcome.